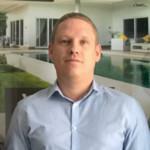 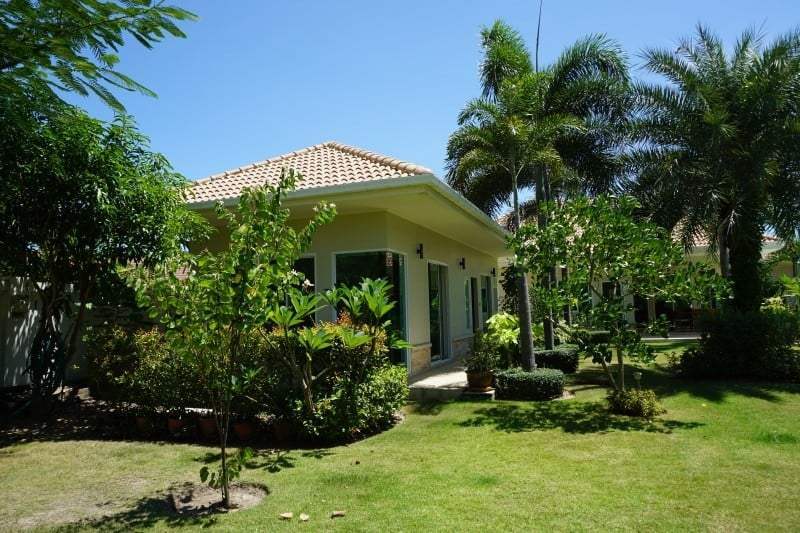 Sam Roi Yod villa for sale with 5 bedrooms and 4 bathrooms. 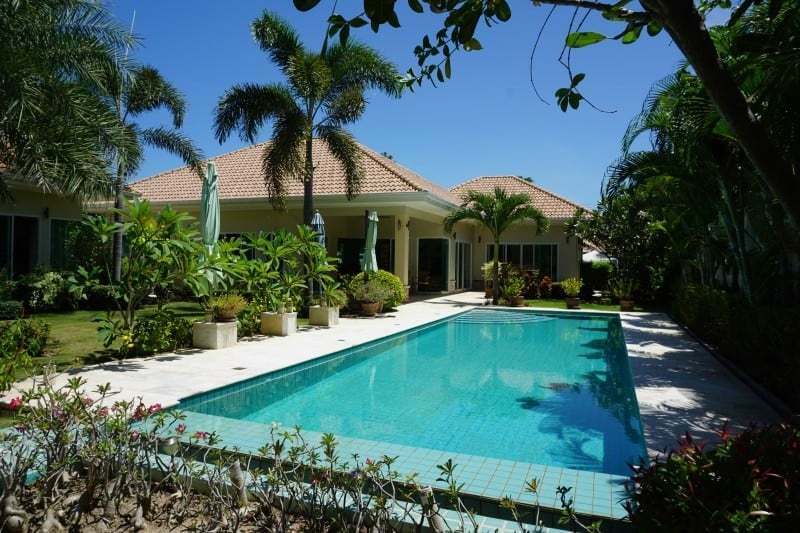 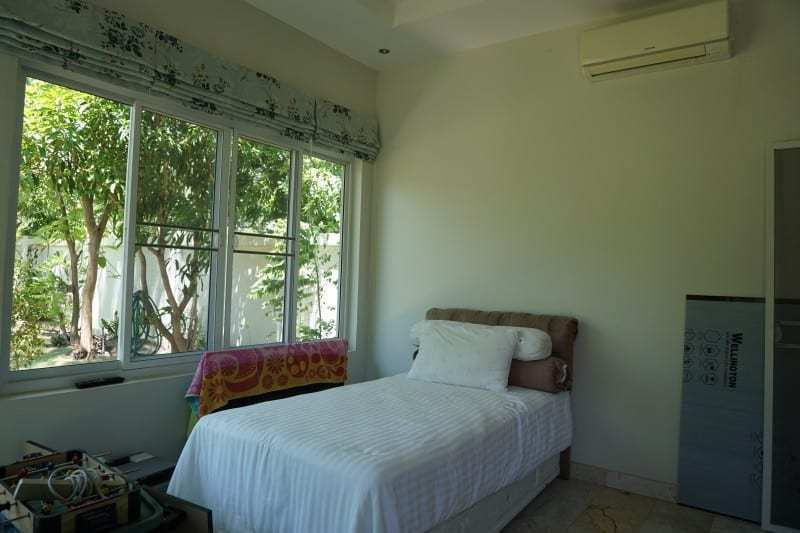 A very spacious pool villa in the beautiful Sam Roi Yod (300 Peaks) area of Hua Hin. 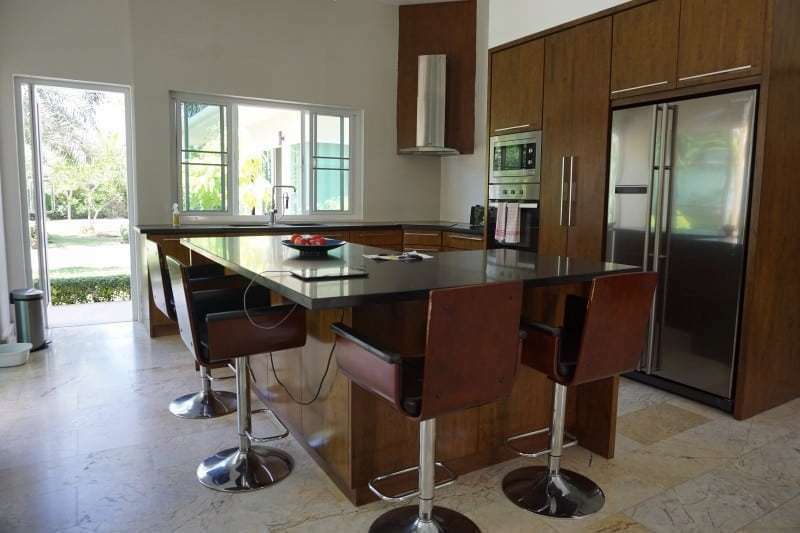 This house has a beautiful fitted kitchen with all modern appliances and granite work surfaces. 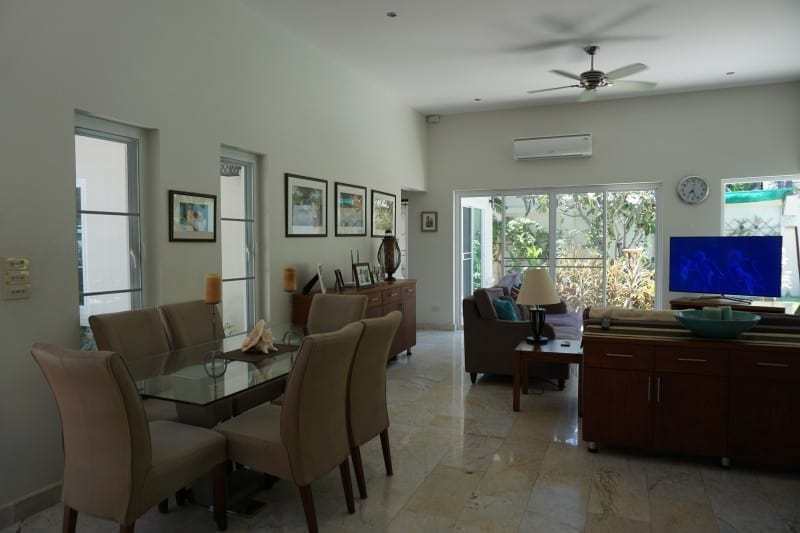 The lounge and dining area are open plan and spacious with sliding doors that lead out on to the garden. 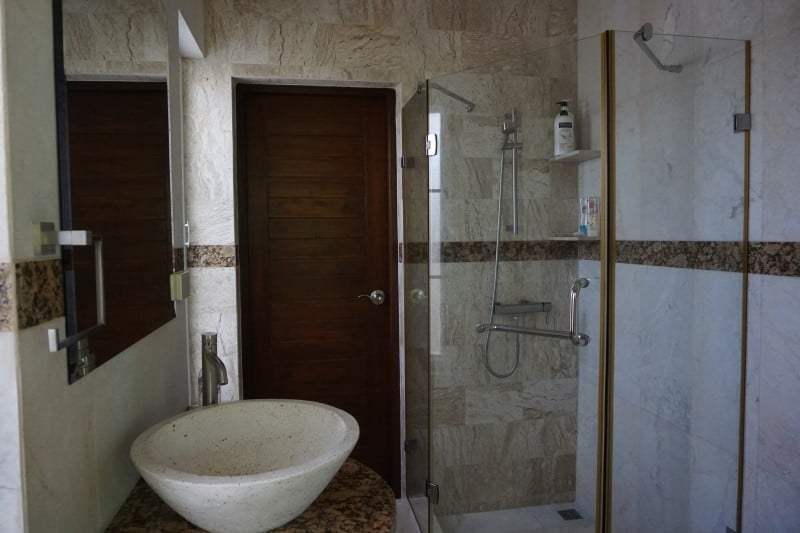 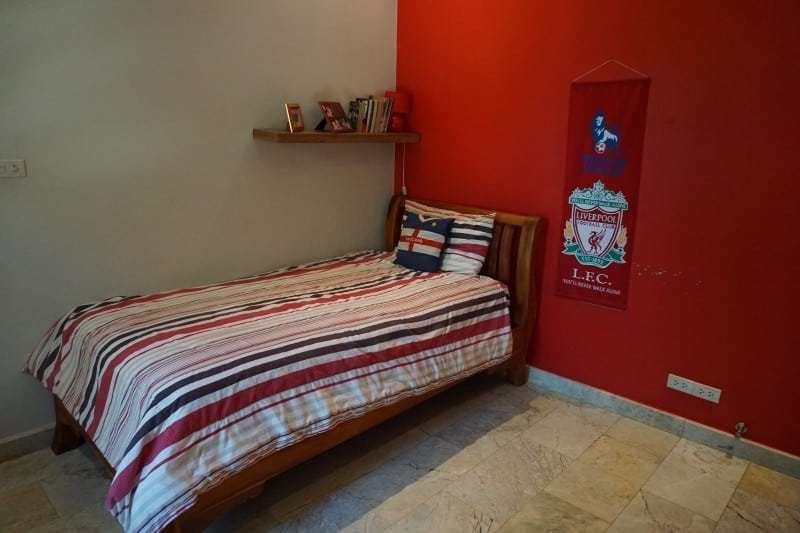 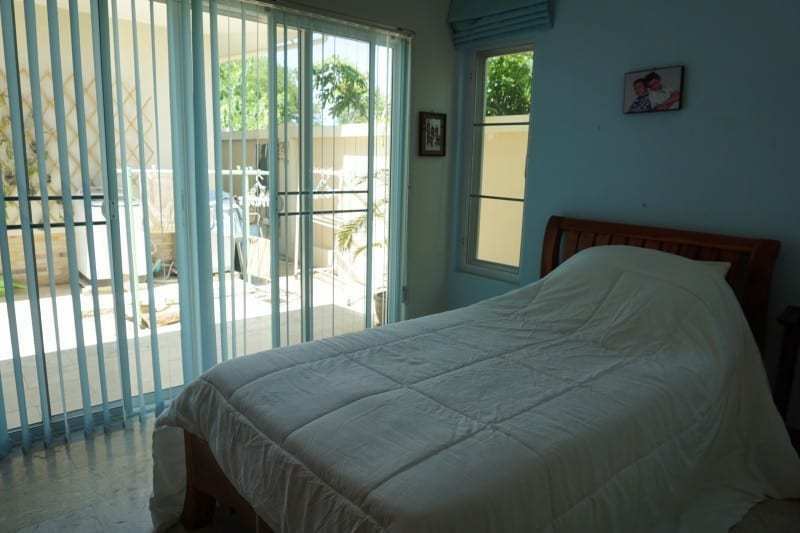 The 5 bedrooms are also spacious and 3 are en suite which are nicely decorated. 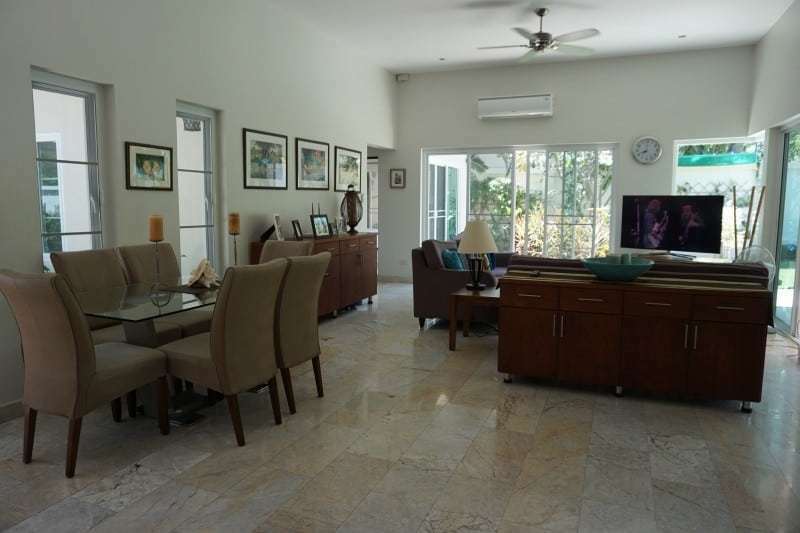 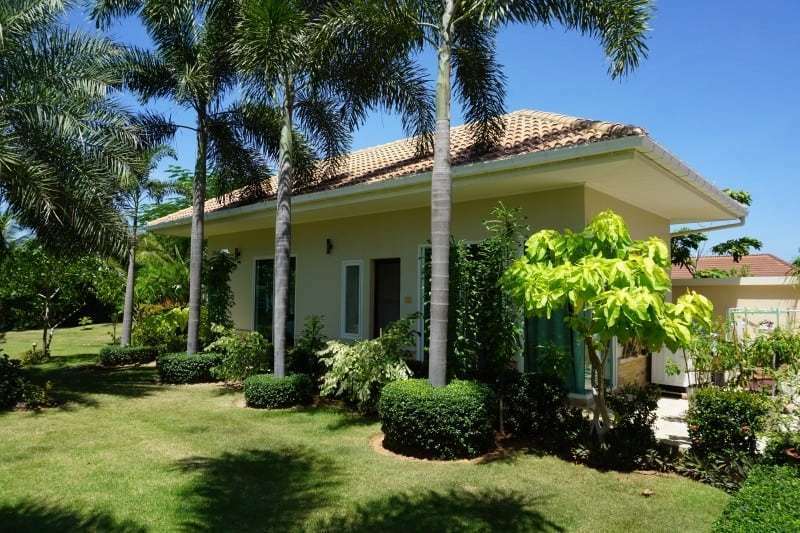 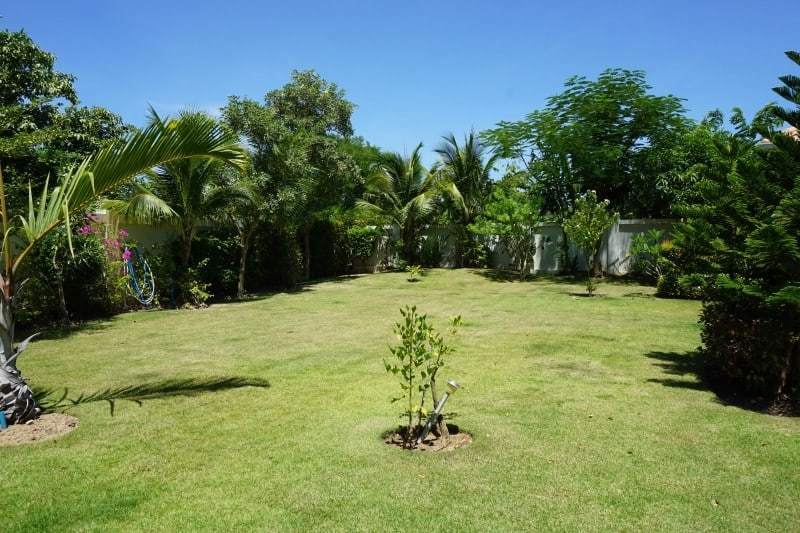 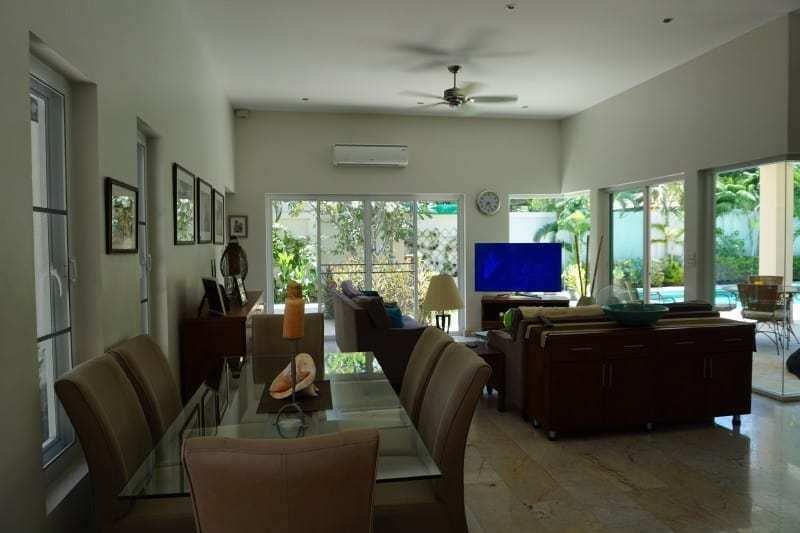 Outside on the very large 1450 square meters plot of land is a well kept garden with mature palm trees. 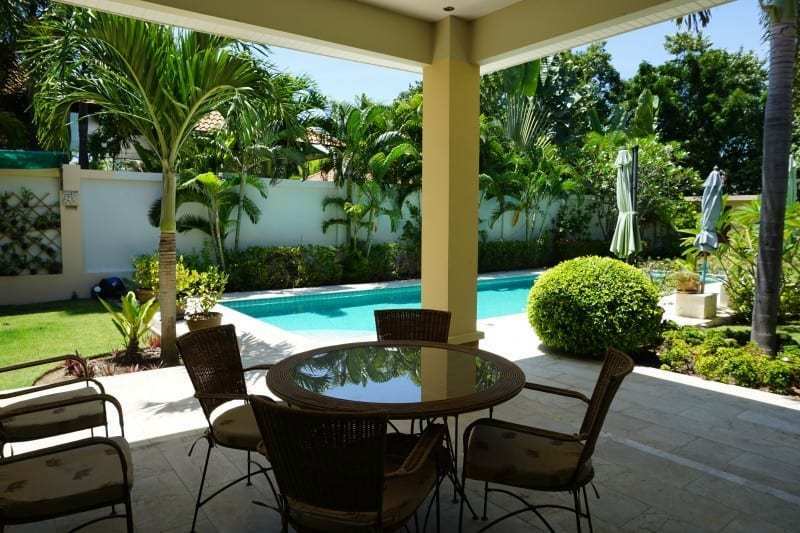 The luxury swimming pool is adjacent to the covered terrace area which is ideal for relaxing and dining in the shade. 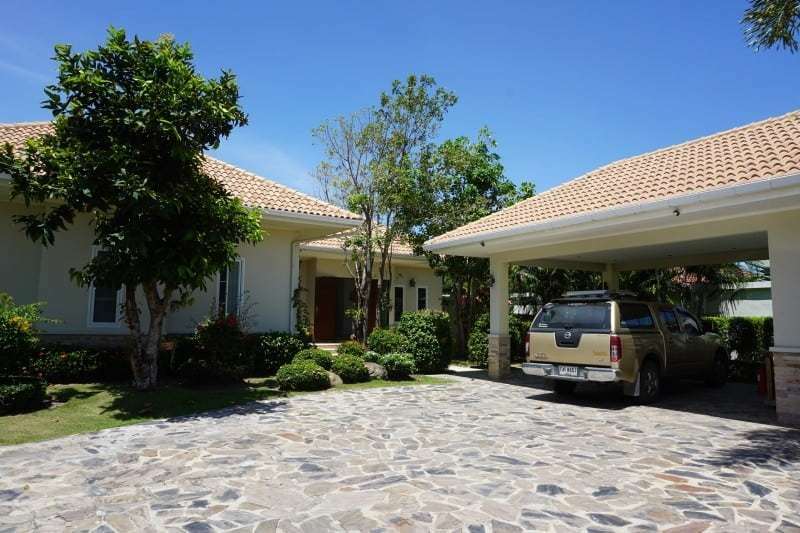 Furthermore to the front of the house there is a large paved driveway with car port. 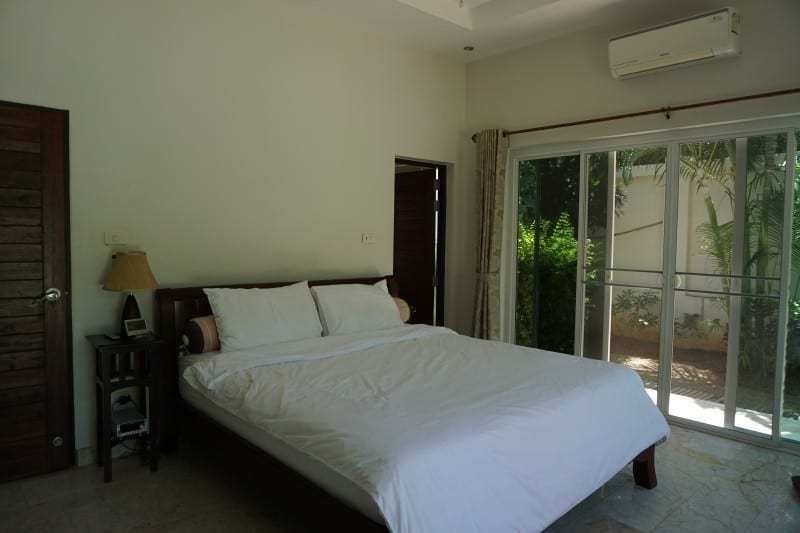 The house is located a 30 minute drive from Hua Hin – Pranburi is easy and fast to reach for shopping and dining.